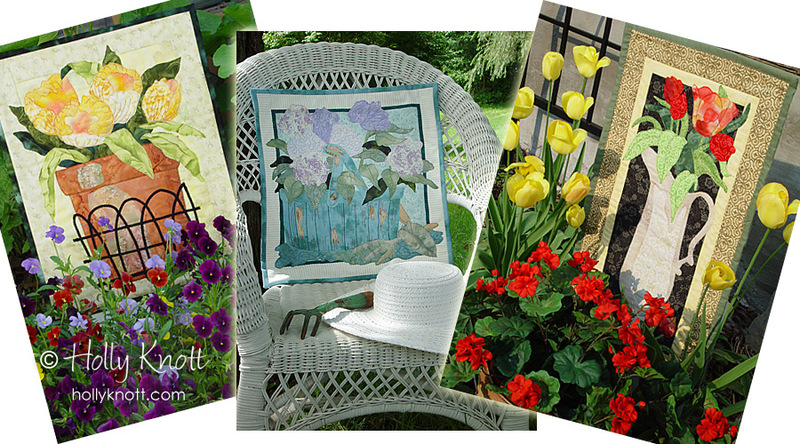 My mother, Diane Knott, and I published our first book, Quilted Garden Delights, by C&T Publishing in February 2008. 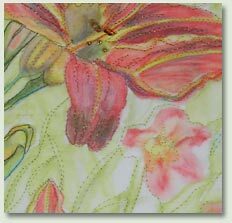 8 of Diane’s watercolor paintings were recreated by me as easy-to-make applique quilted wallhangings. Learn how to choose painterly fabric to create these unique home decor items that will look like paintings made from fabric. C&T did a wonderful job with the layout and design, and they also included several photographs of the quilts that I took in our garden “on location” – here are just a few. It truly is a colorful, inspiring garden-filled book. The book is now out of print (with a few copies left at various sources, like on Amazon!) but C&T offers e-versions available for sale. 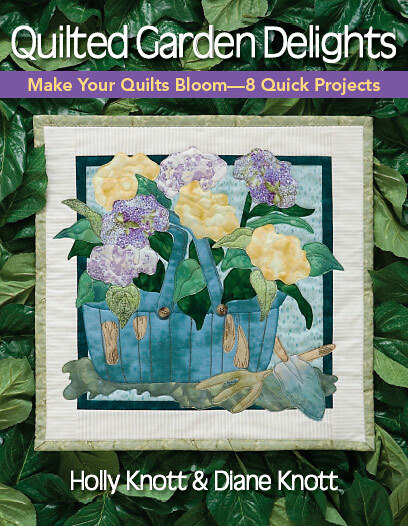 I have also been a contributing writer to Quilting Arts Magazine. You can read my article on using water-soluble wax pastels (Caran d’Ache Neocolor II) in their Summer 2005 issue. The Spring 2007 issue also includes one of my art quilts, and I contributed (with several others) to Jamie Fingal’s article on pricing your work.